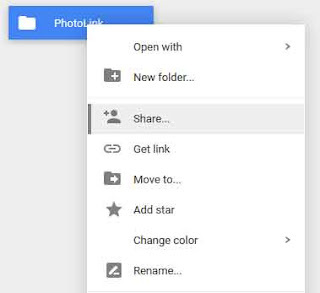 It is possible to have direct link of stuffs uploaded into Google Drive. We can recall the stuff through that very link putting on any web pages or in browser address bar. This makes Google Drive can be used for hosting of Images, Videos or other files. 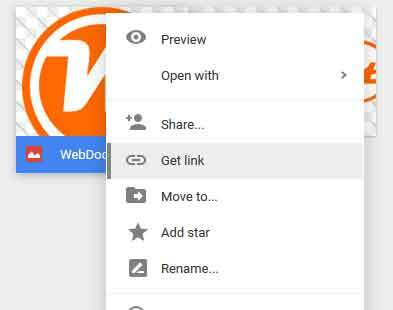 Great reliability of Google servers can give the test of premium file hosting. Only thing is to manipulation of object link. 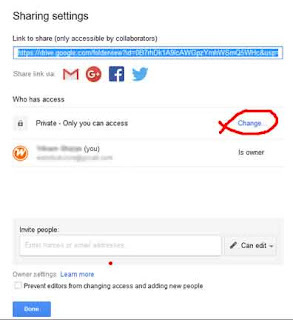 Make the file public in sharing setting: Only those file shared public can be recall of web page. It is better to create a folder and declare as public in whole and keep all the required content within. b. 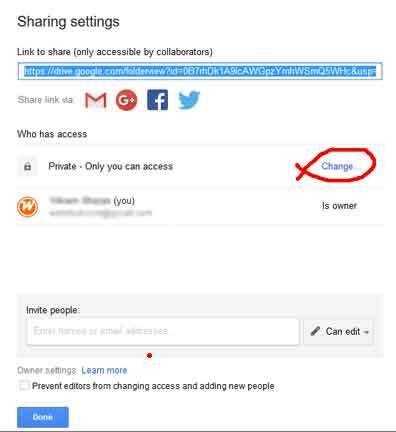 Right click >> go to Share >> click “Advanced” >> go to “Private” and change >> select “On – Anyone with the link” >> Save and Done. Now paste that link on NOTEPAD program and replace "open" with "uc". Change the above link format into below. This link can be used as direct link. It can be used on web pages.